I recently discovered lingerie by I.D. Sarrieri and am in love nearly every piece in the collection. There’s some retro pinup styles but without being too kitschy. There are some nice classics too. Below are a few of my favorite pieces. Click on each image below to see the the listing. Also, check out the “outlet” tab on their website for some great prices. From the “Ava” collection, a long-sleeved Chantilly lace bodysuit. Bleumarine silk satin stretched over demi-cups trimmed in Chantilly lace. Removable straps. Midnight Chantilly lace boxers with bleumarine trim. High waist brief with detachable garters in champagne or black. An embroidered leather bra that somehow comes off sweet and not fetish. Hidden wire and stretch silk satin. This etsy shop, which specializes in pin up and vintage lingerie, is having a holiday sale right now with everything marked 40% off. Click on each image below to see the full listing. Vintage 1950s “Je T’aime” balconette bra by Bali from ThedaBaraVintage on etsy. $14.40. 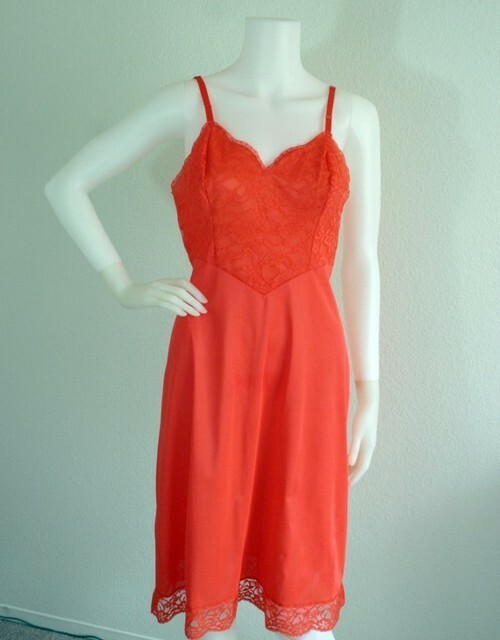 Vintage 1960s tangerine full slip by Vanity Fair from ThedaBaraVintage on etsy. $7.20. Vintage 1980s lace and nylon jumpsuit from ThedaBaraVintage on etsy. $14.40. Vintage 1960s full body girdle from ThedaBaraVintage on etsy. $32.20. Vintage 1960s Frederick’s of Hollywood romper from ThedaBaraVintage on etsy. $10.80.